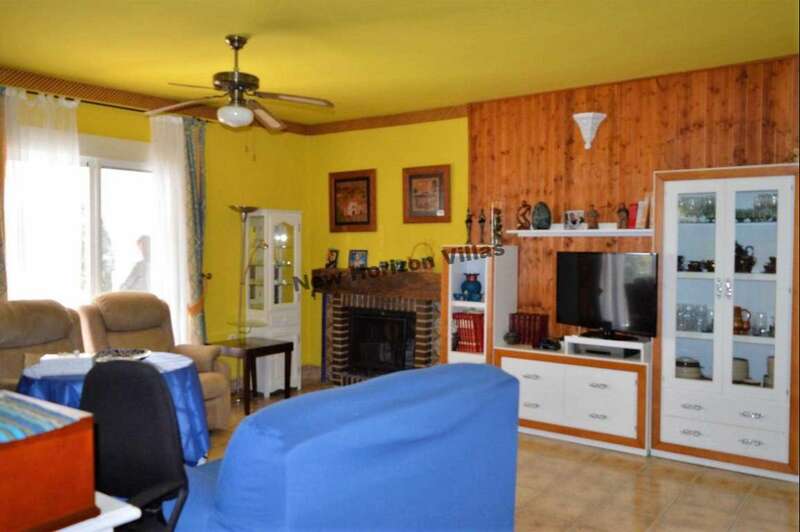 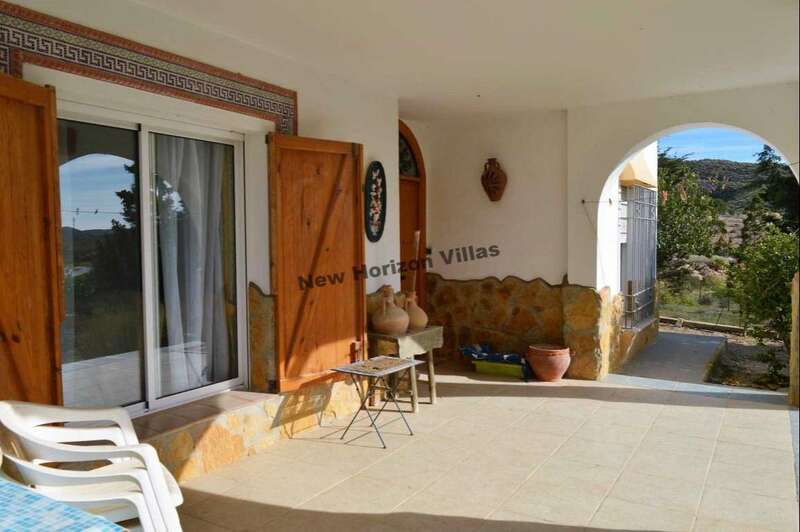 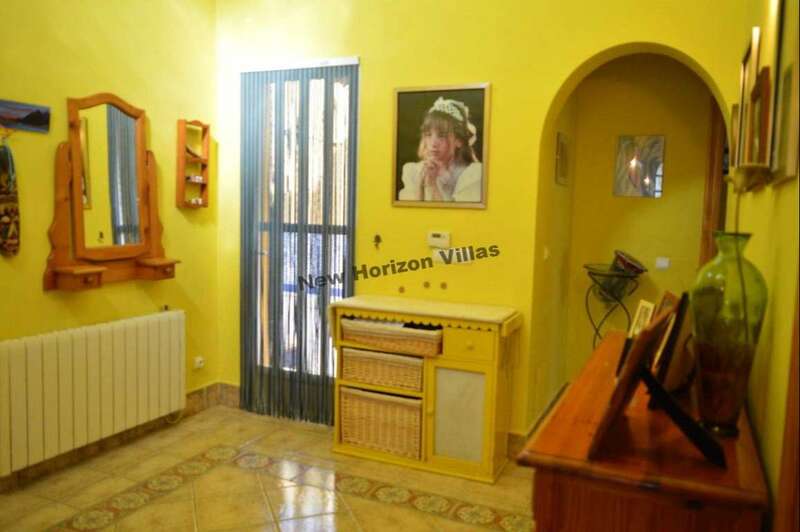 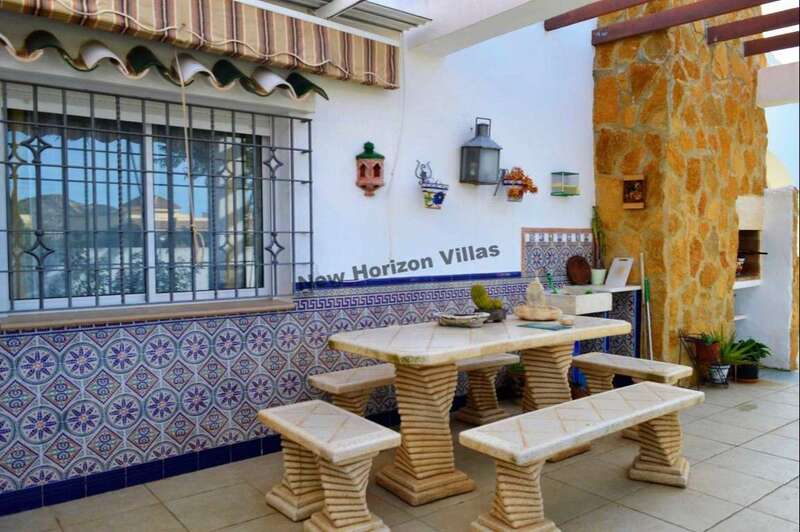 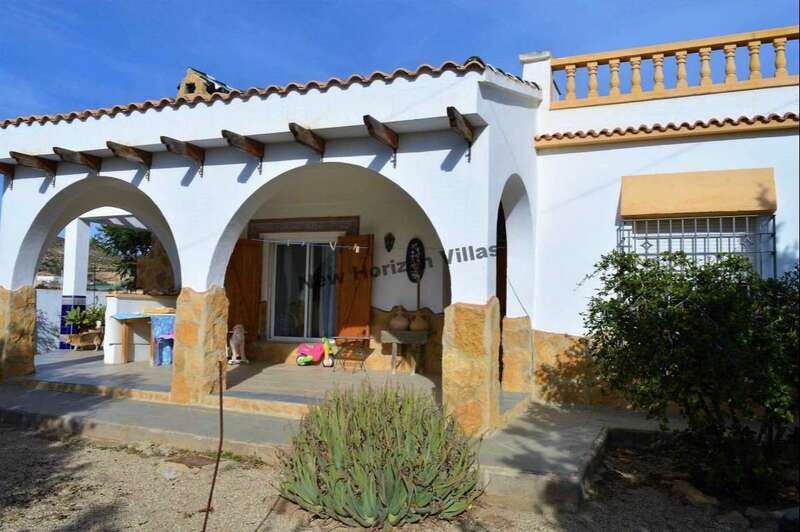 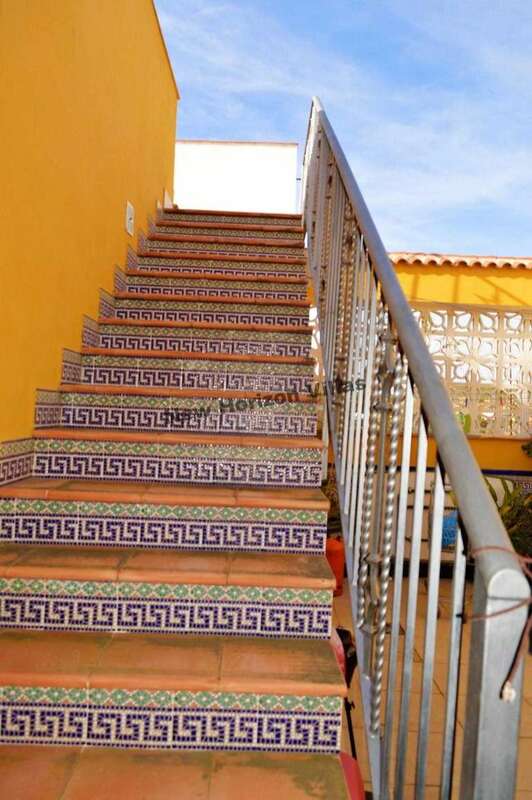 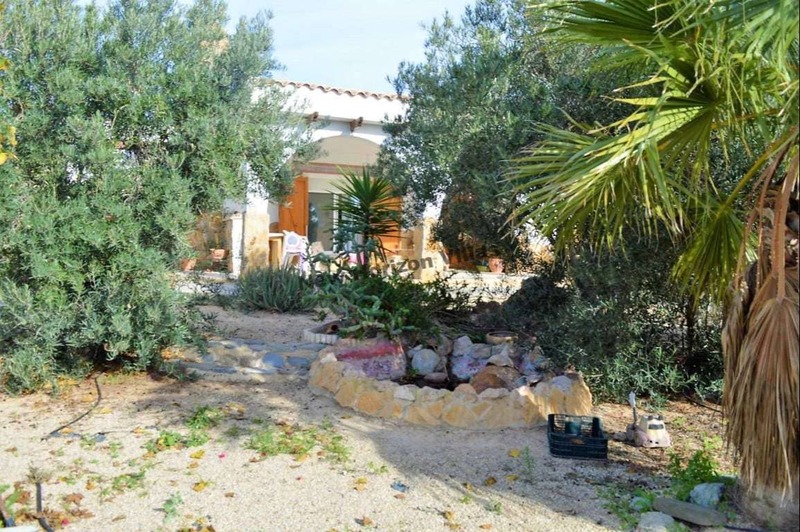 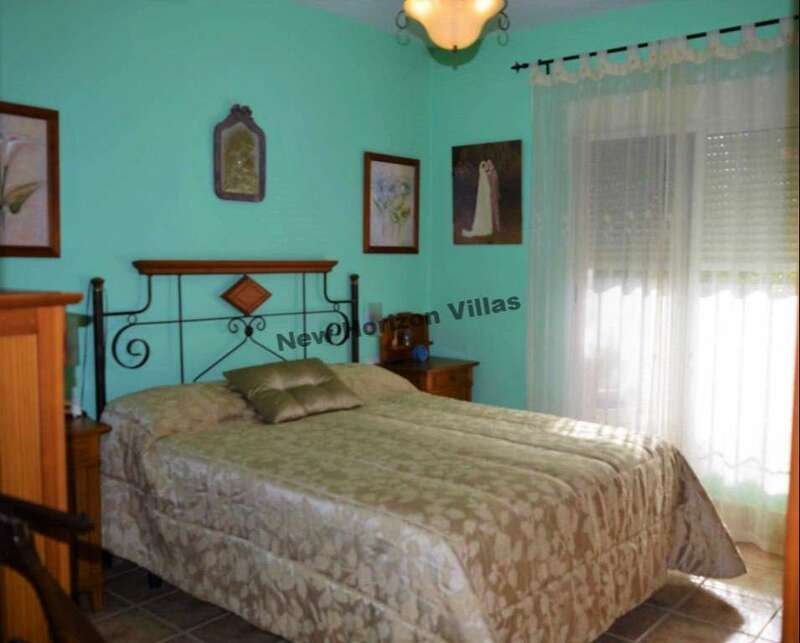 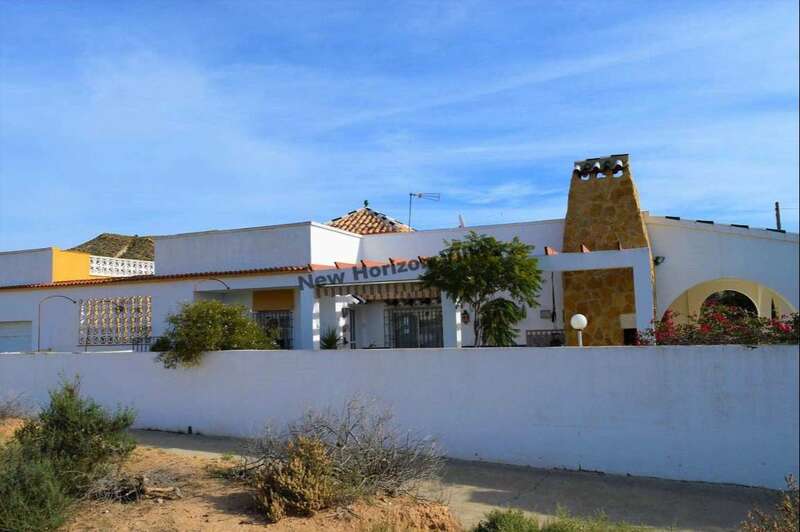 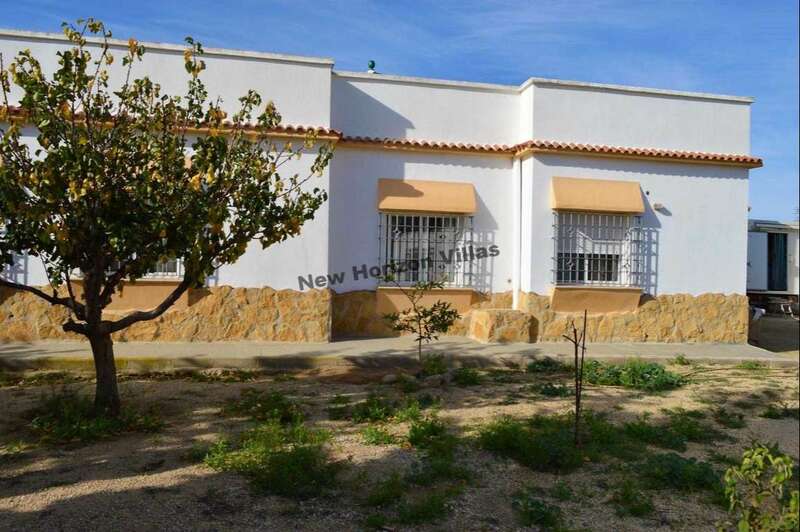 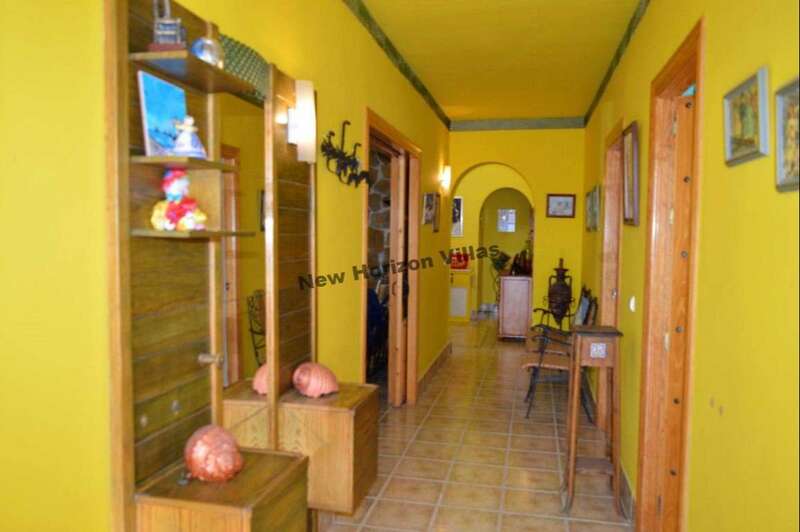 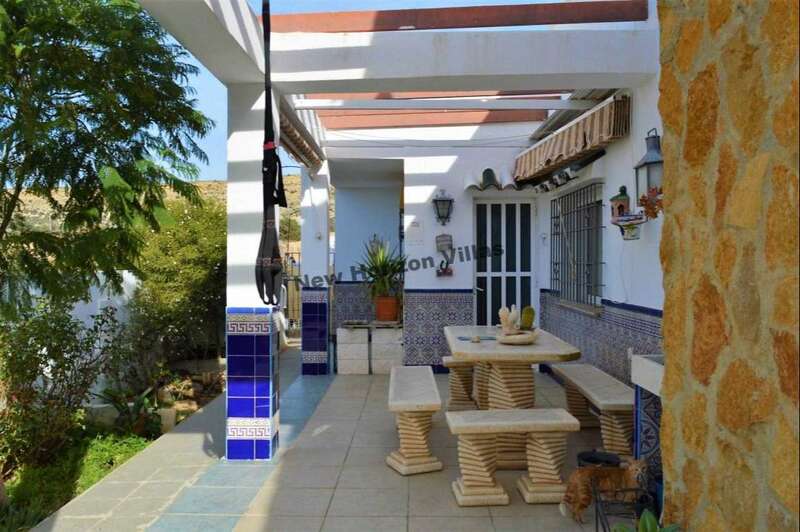 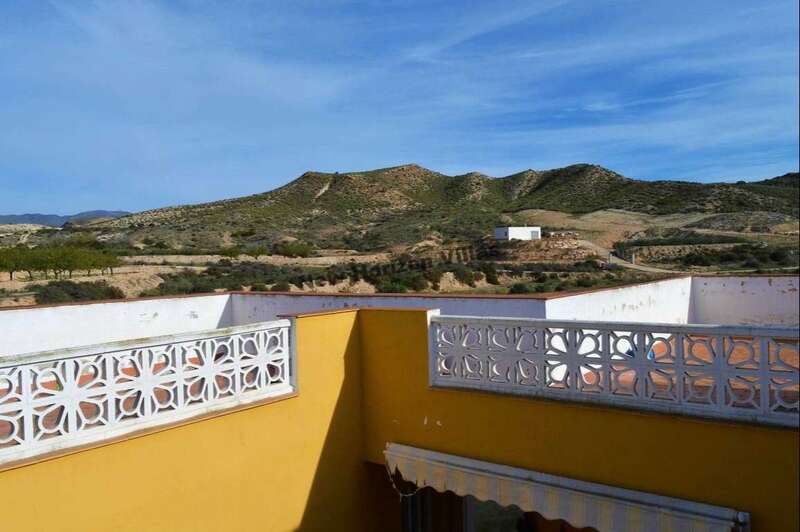 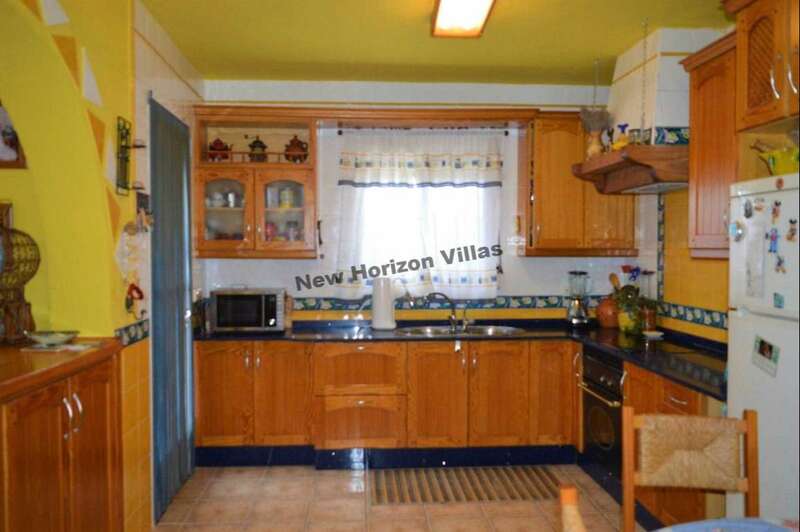 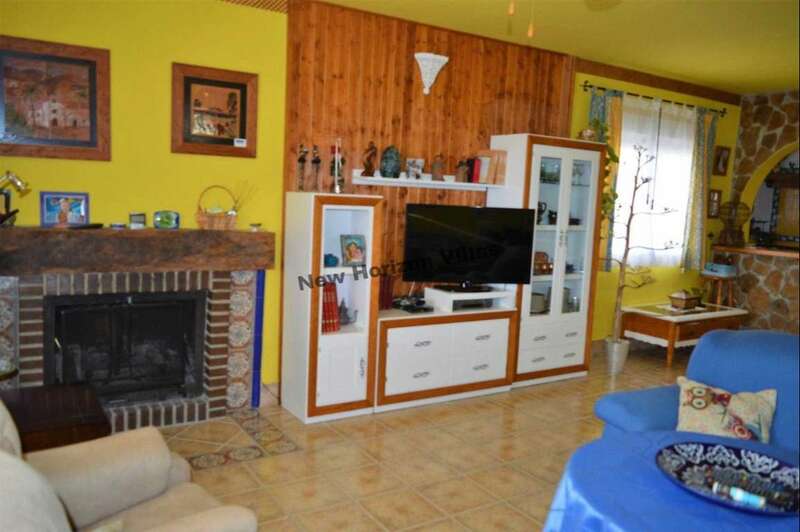 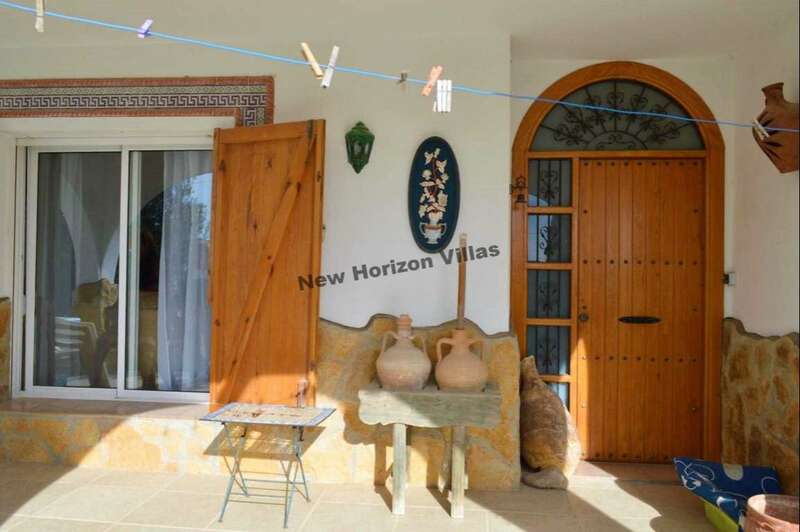 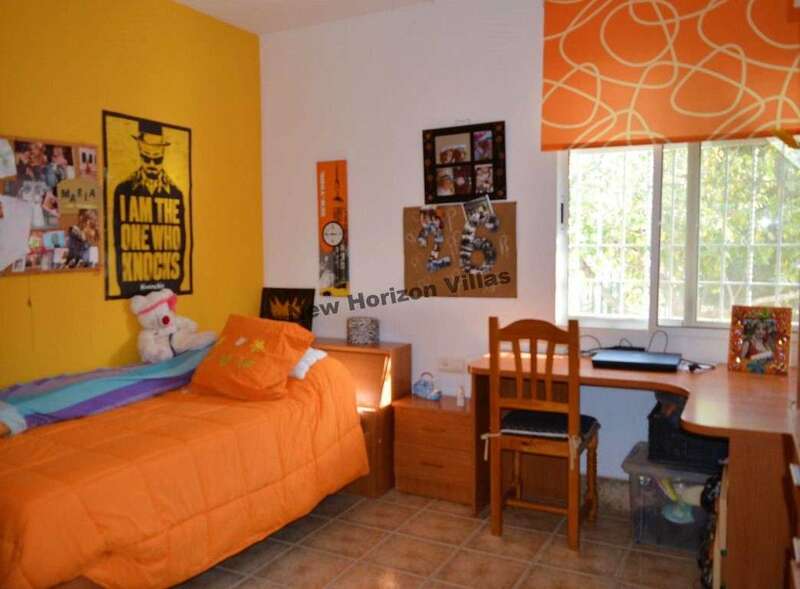 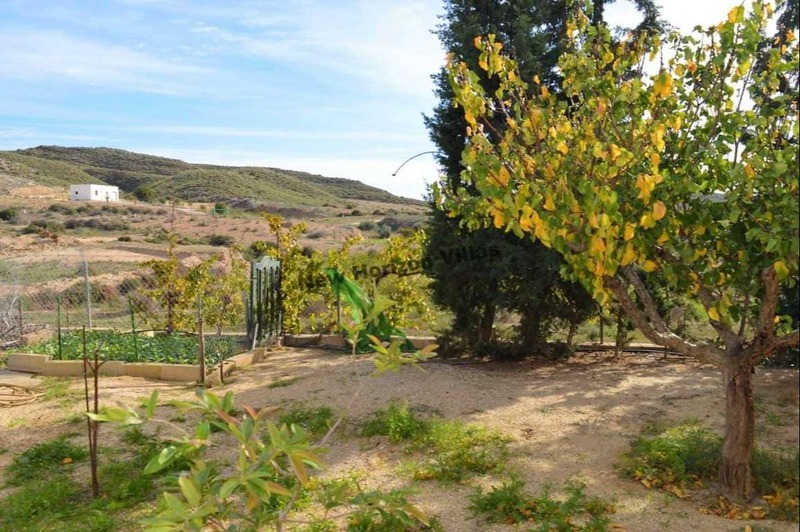 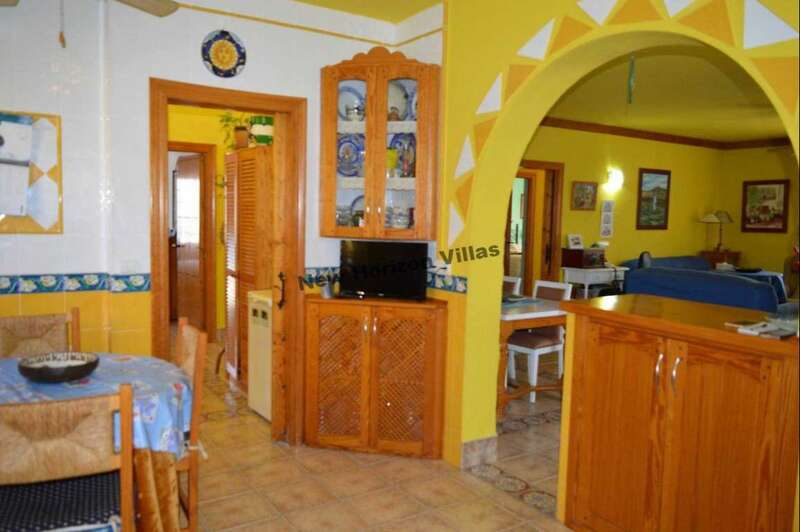 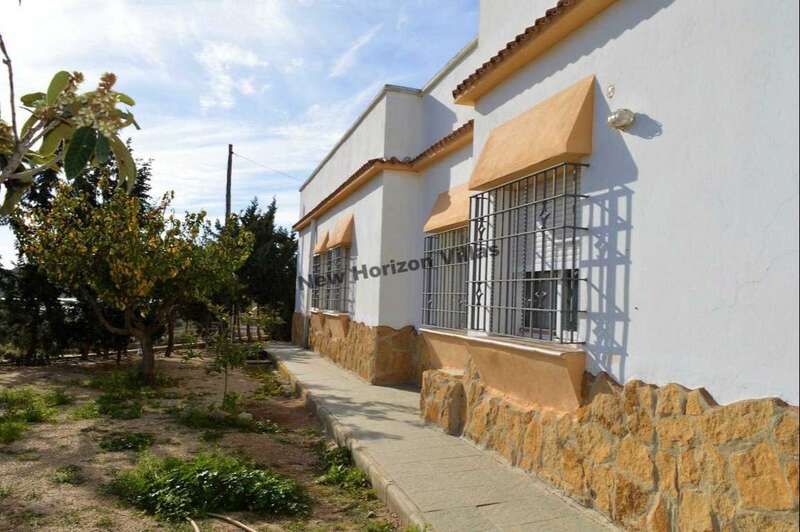 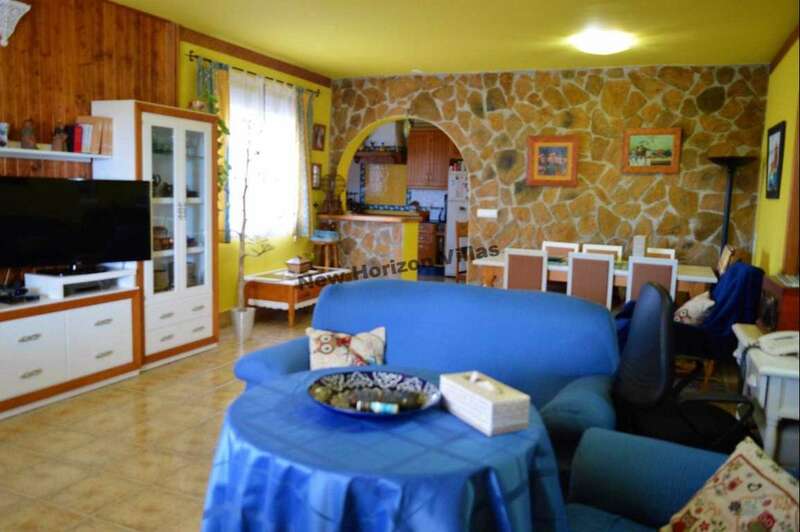 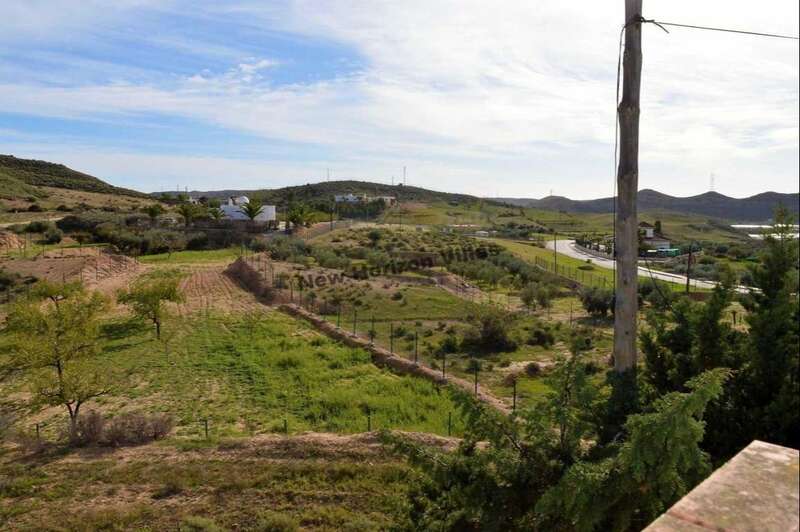 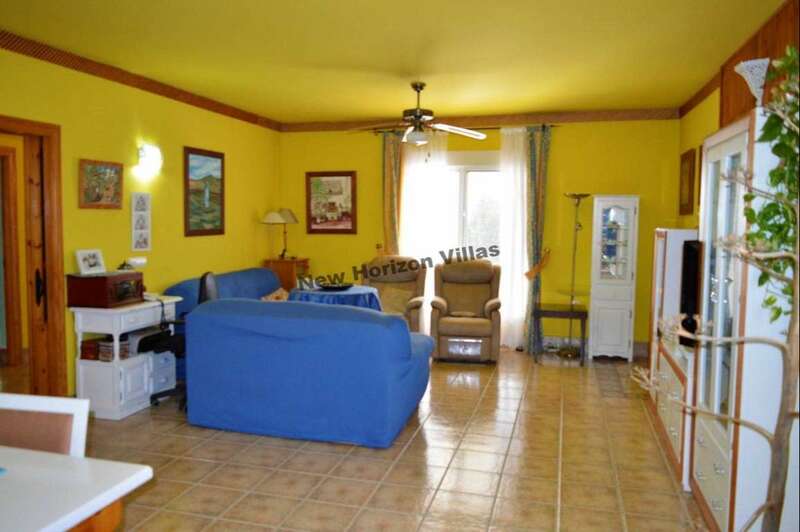 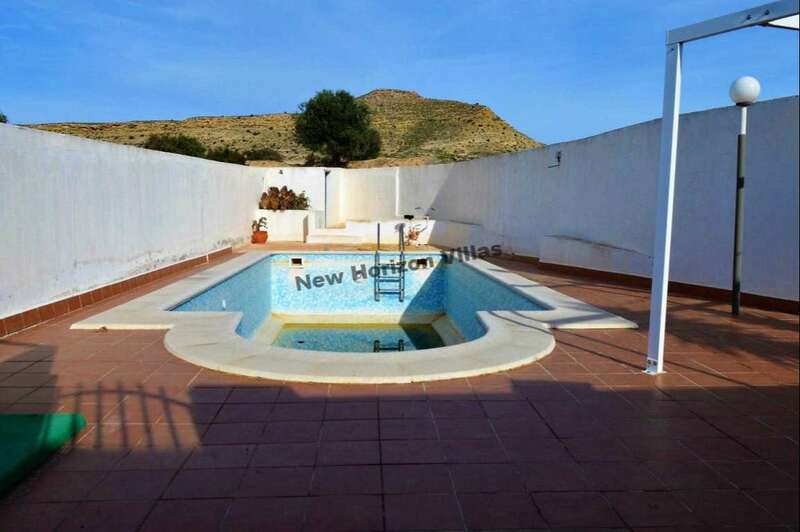 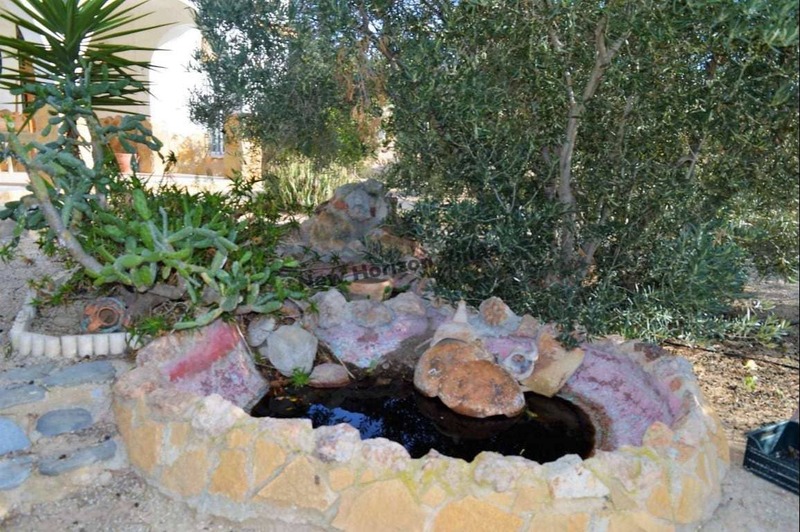 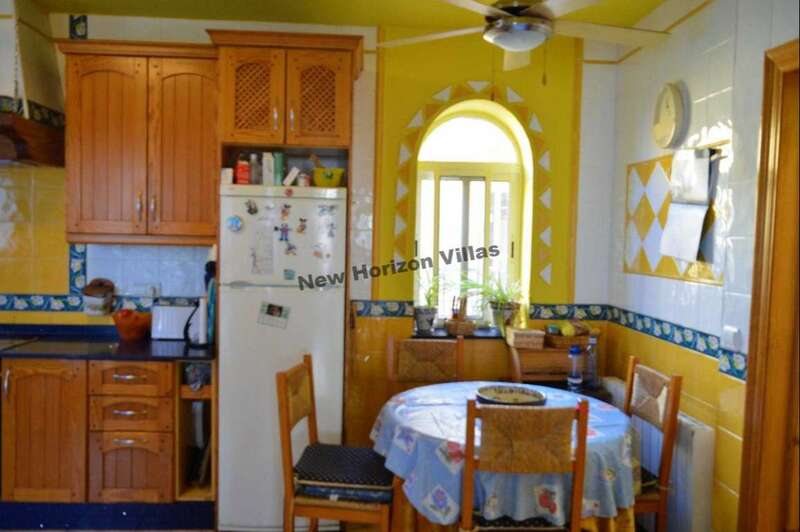 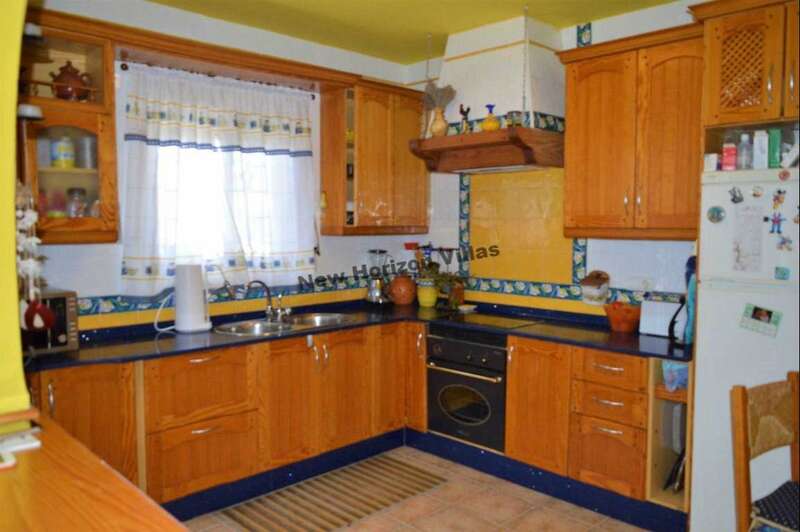 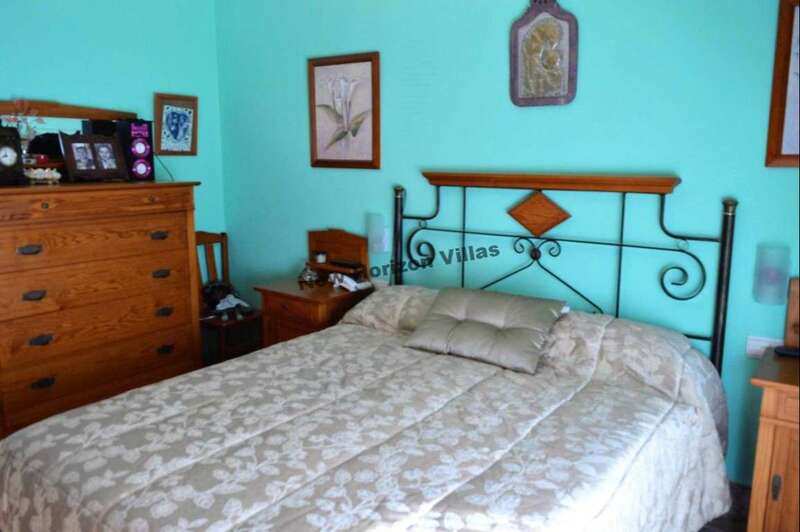 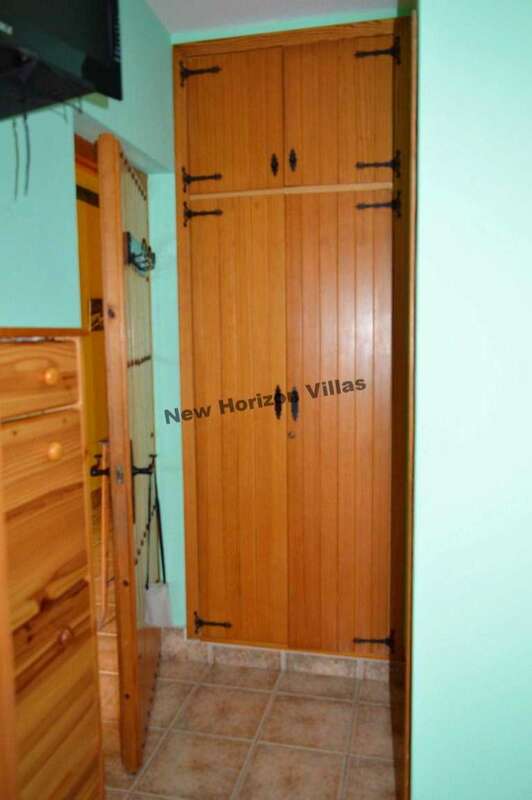 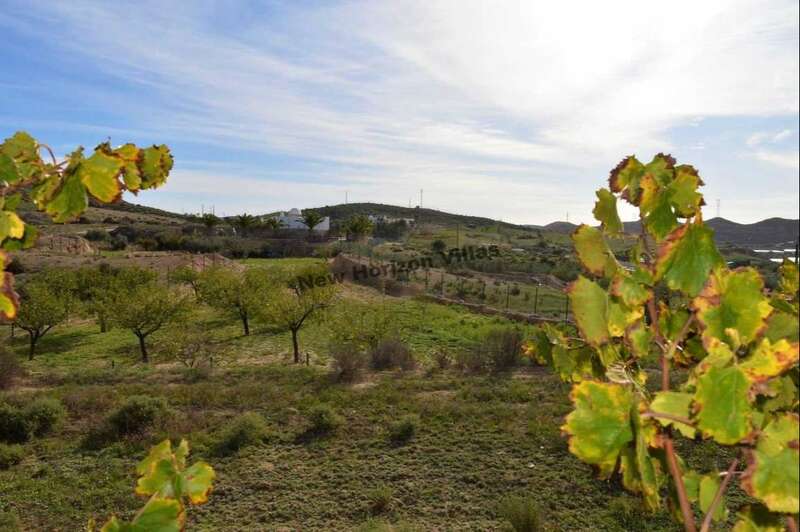 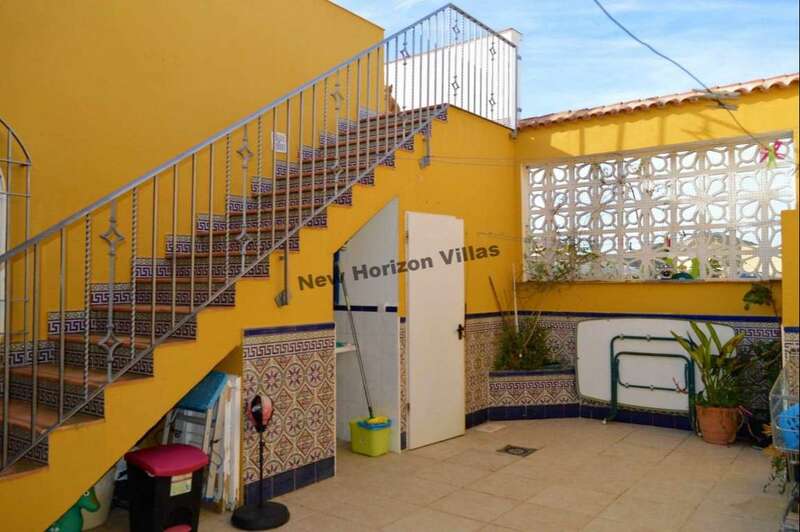 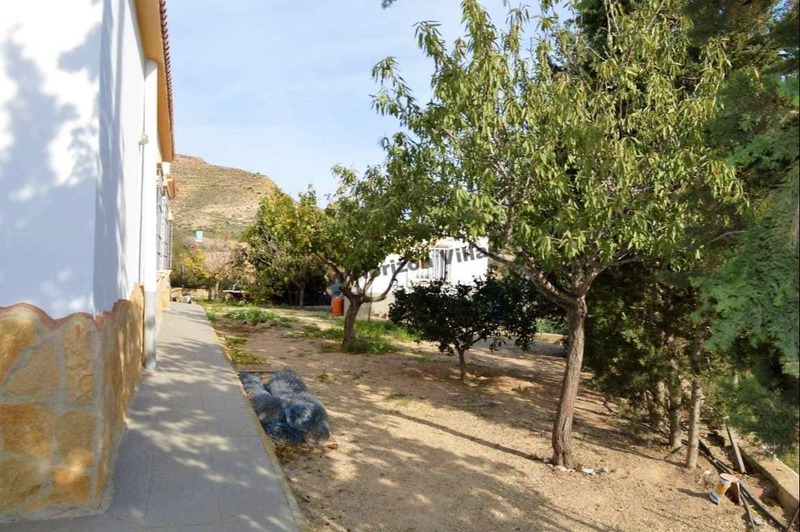 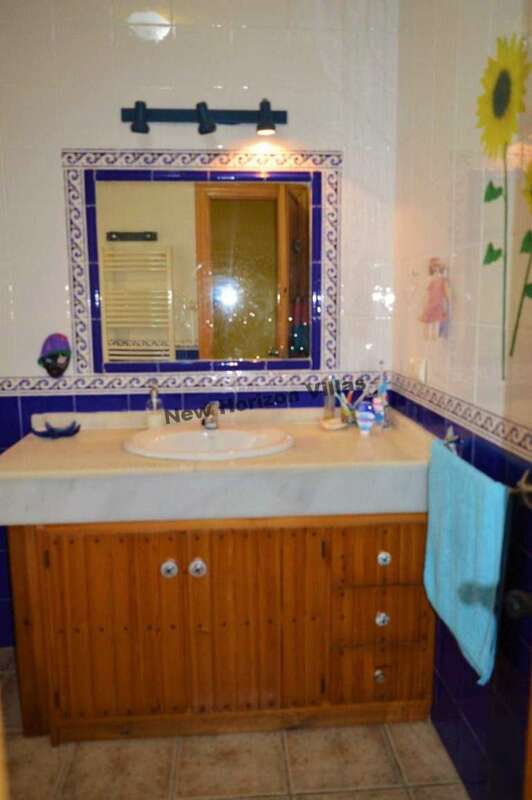 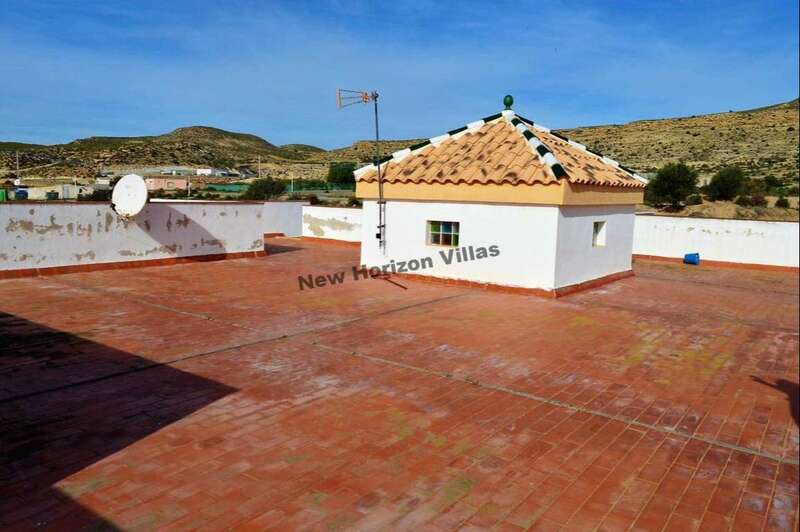 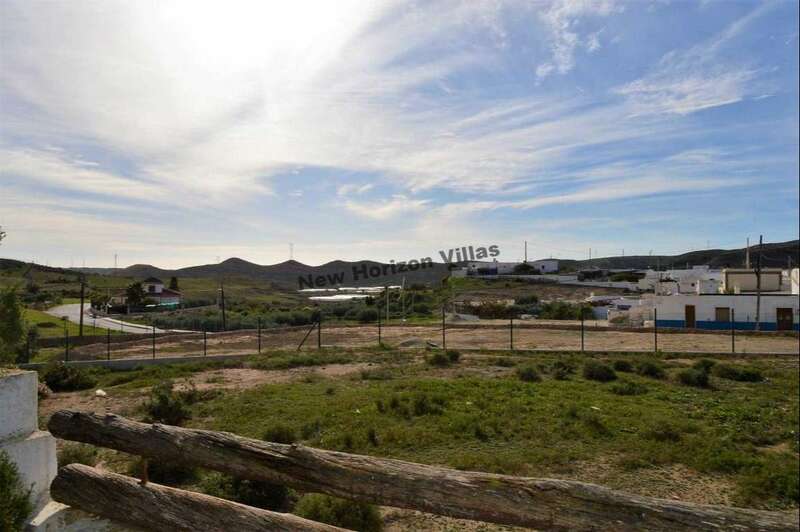 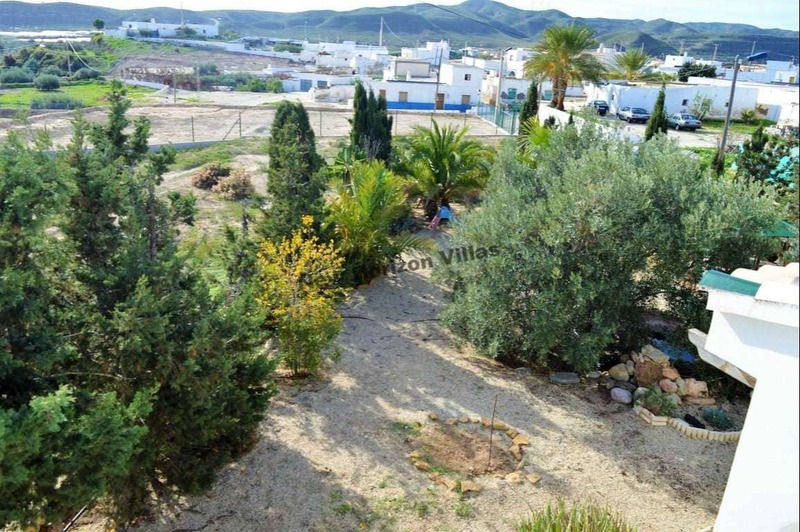 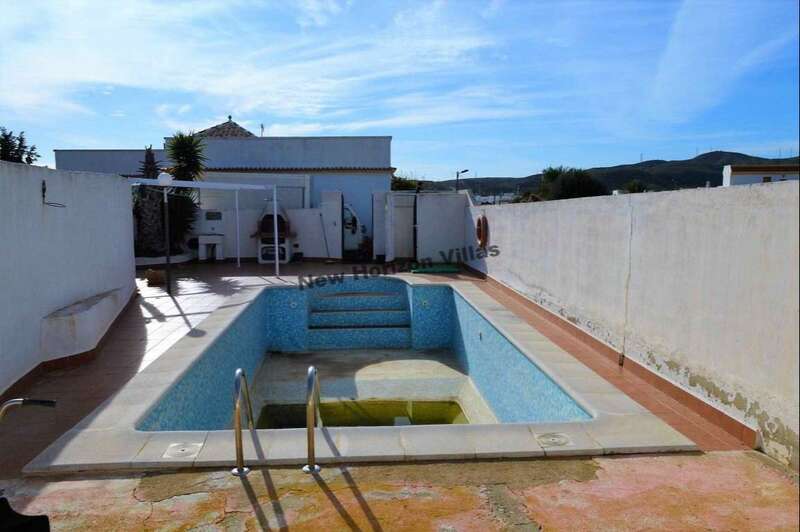 Magnificent country house in Carboneras with a plot of 1200 m² and built area of ​​300 m². 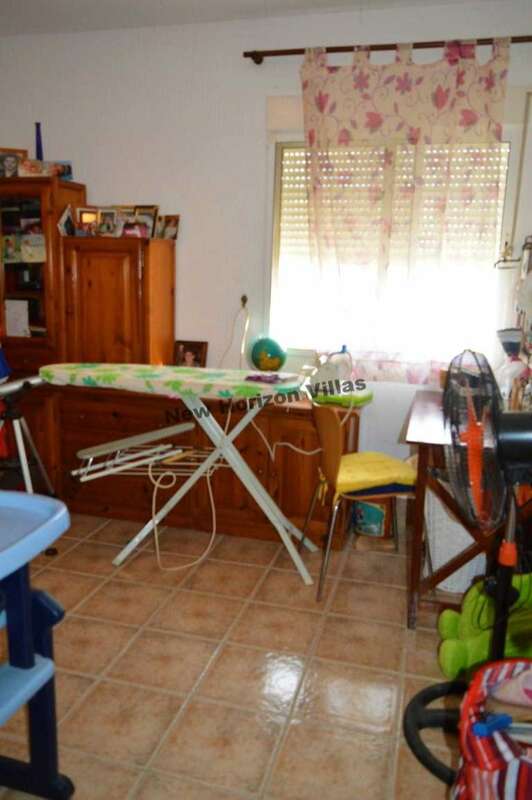 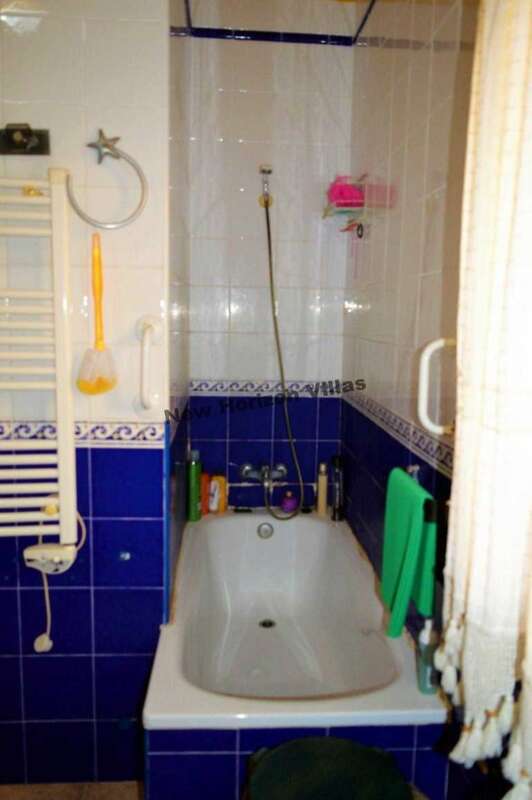 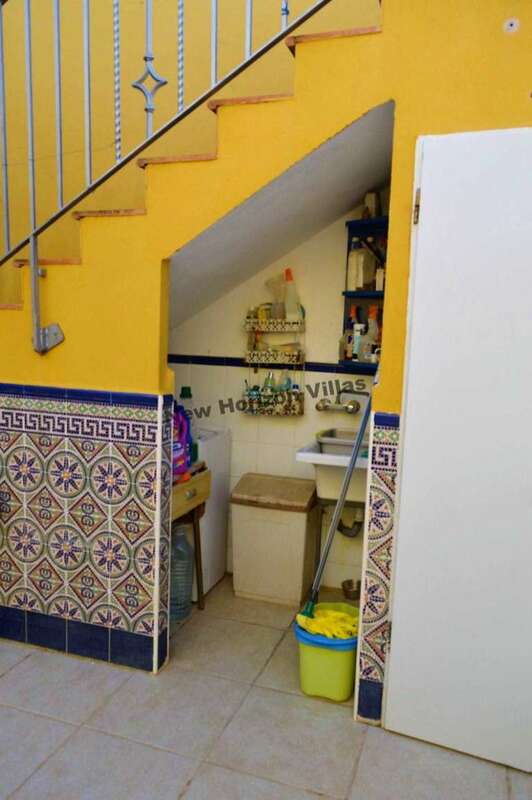 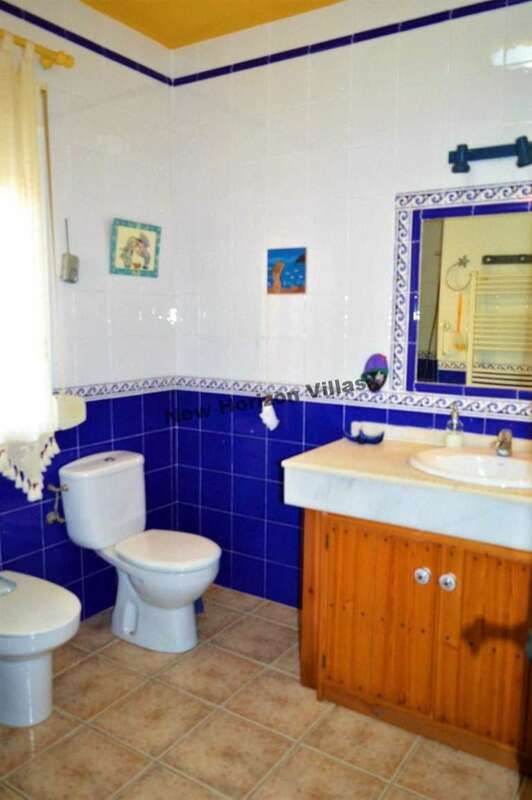 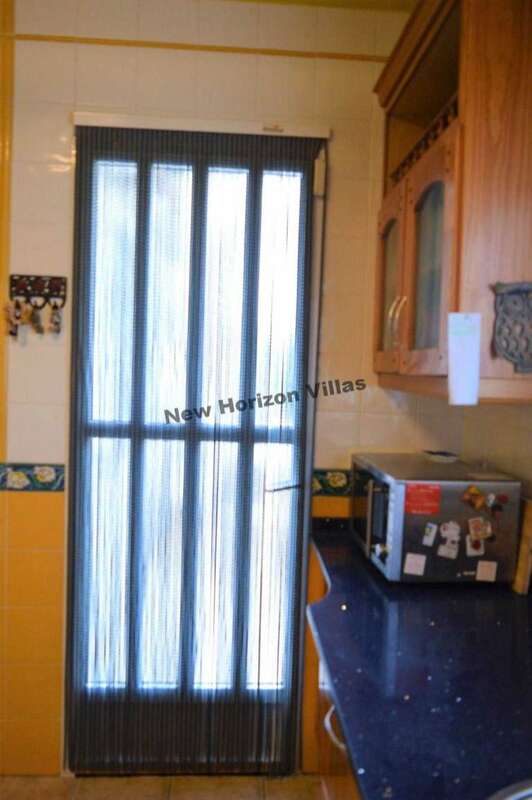 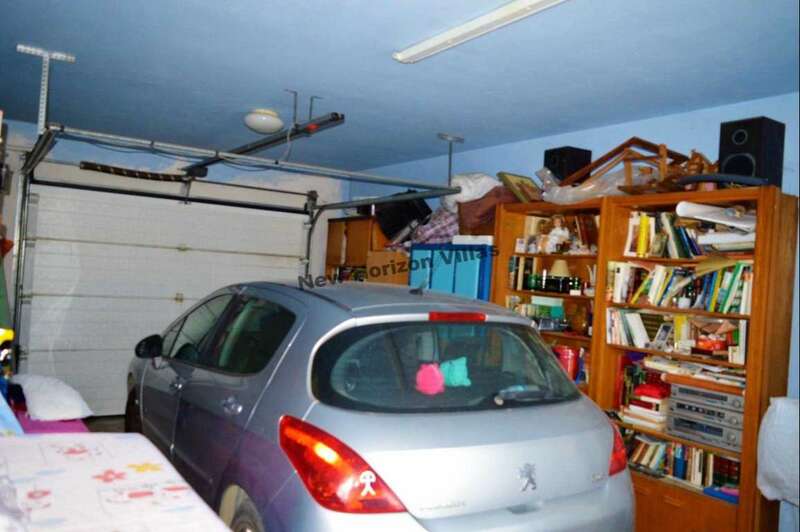 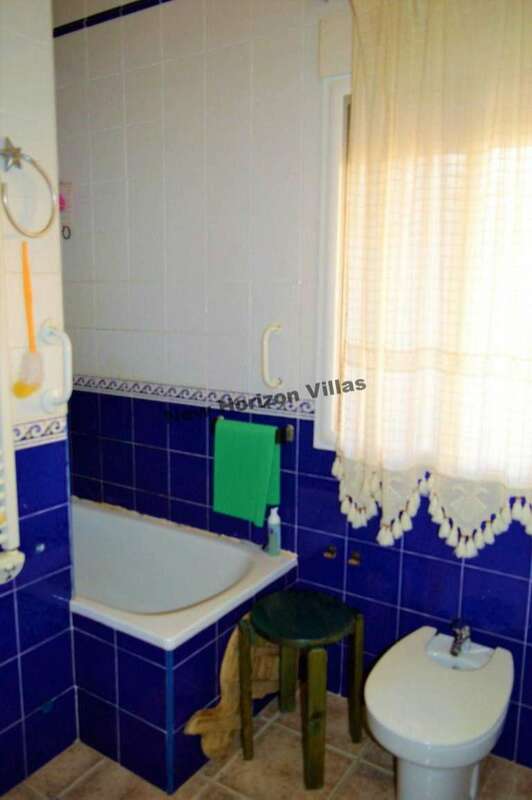 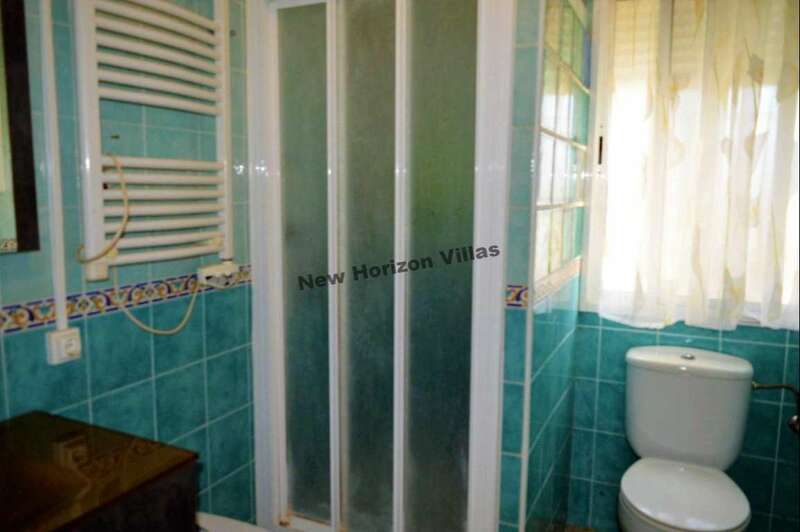 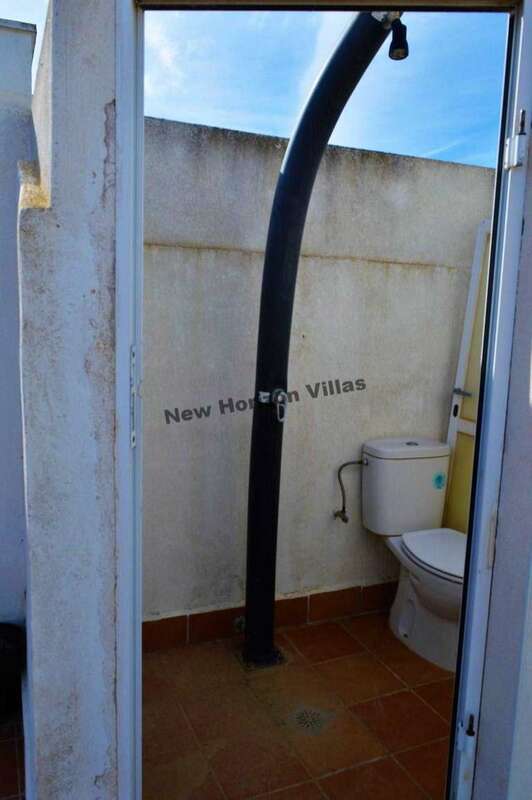 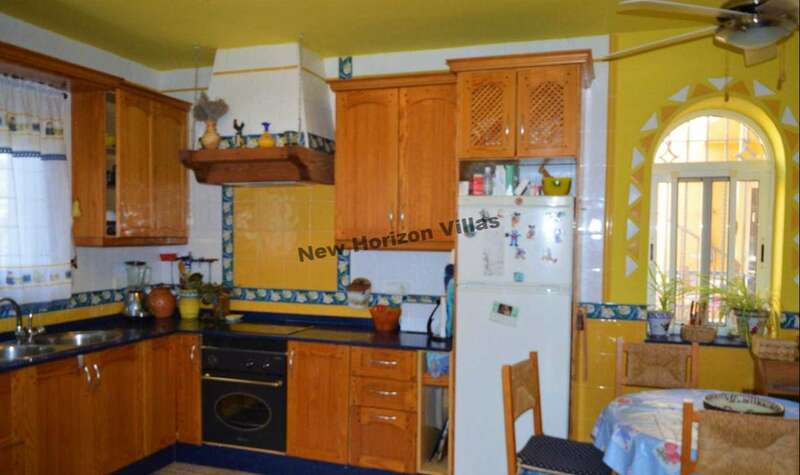 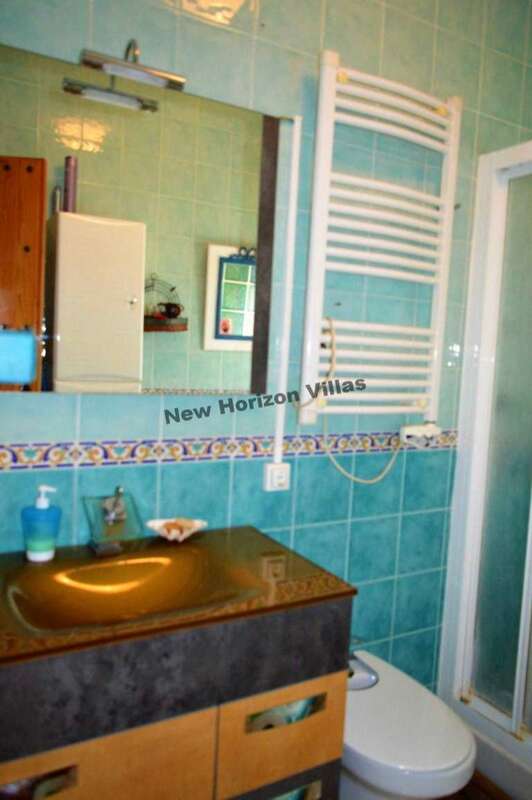 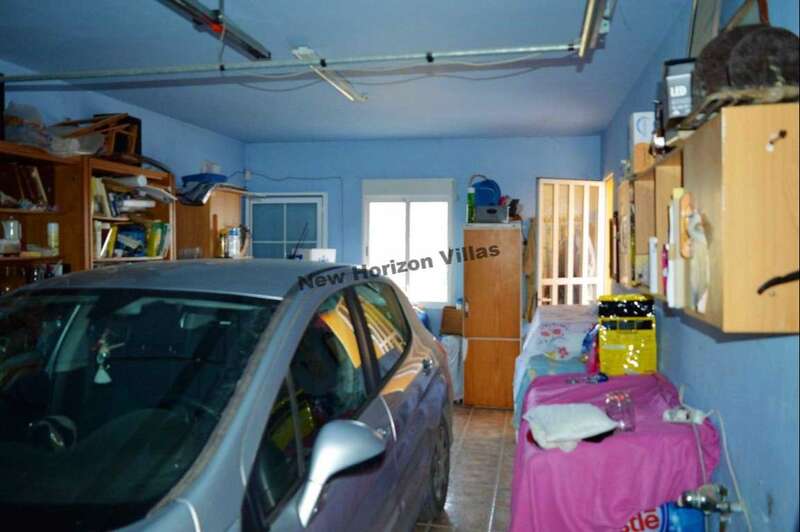 This house has 4 bedrooms with fitted wardrobes, 2 bathrooms (inside the house) one with bath and one with shower, large living room with fireplace, dining room, fully fitted kitchen, a large porch ideal to put tables and chairs and relax a little, pool of 8×4 m² (with space for sunbeds, barbecue and a bathroom with shower), garage for the car, storage room, interior patio with a small room to store cleaning supplies and a large terrace with excellent views of the mountains and the field. 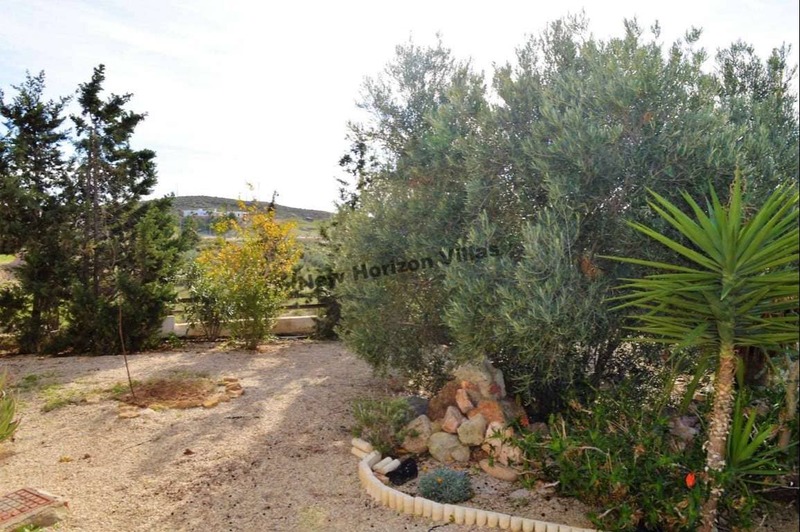 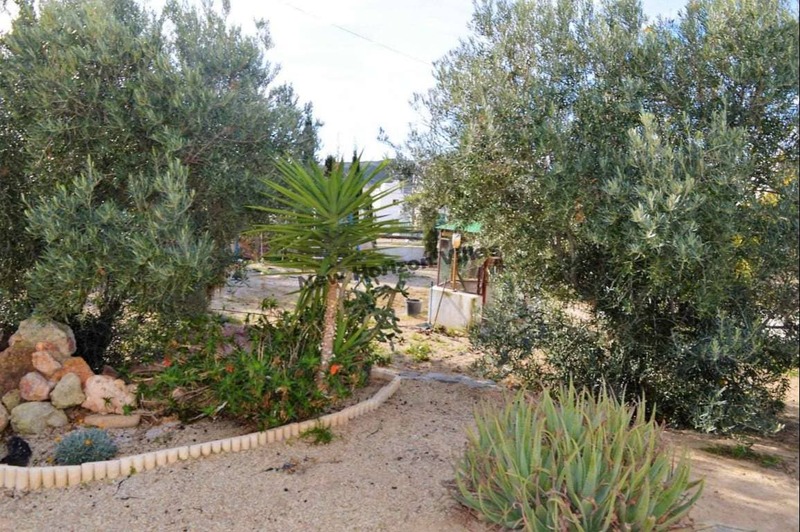 On the plot of land you will have an excellent garden and very well maintained, fruit trees such as pomegranates, olive trees, vines, fig trees, etc, a small orchard, a large plot of land to plant what you want more and also a playground for children. 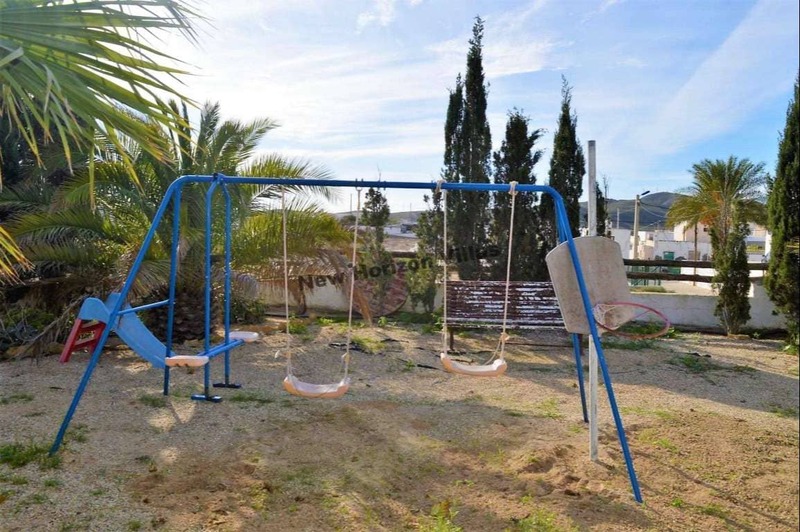 children. 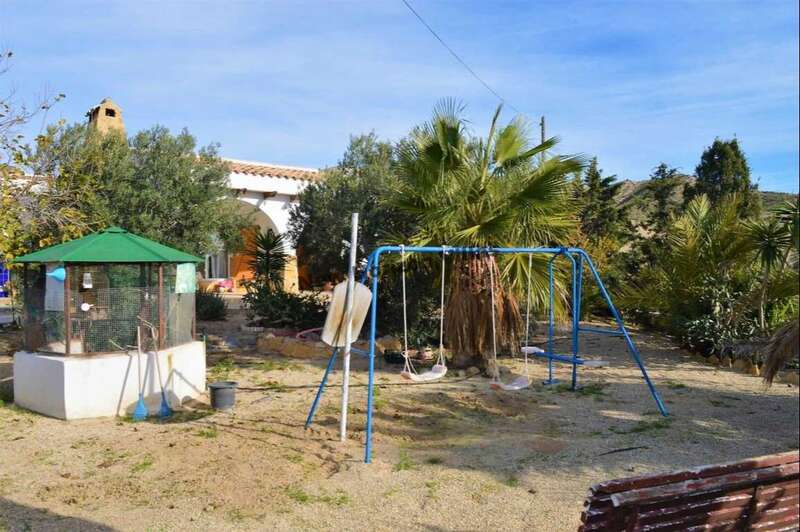 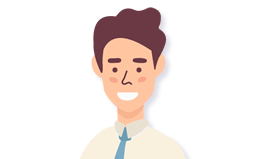 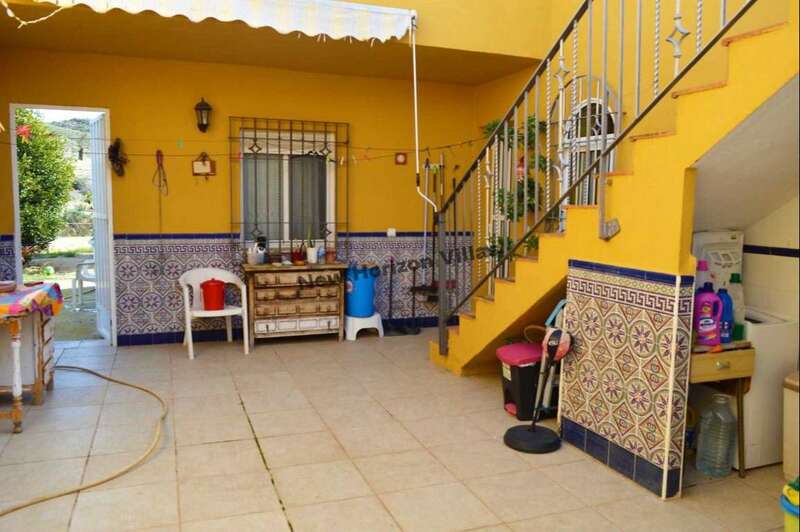 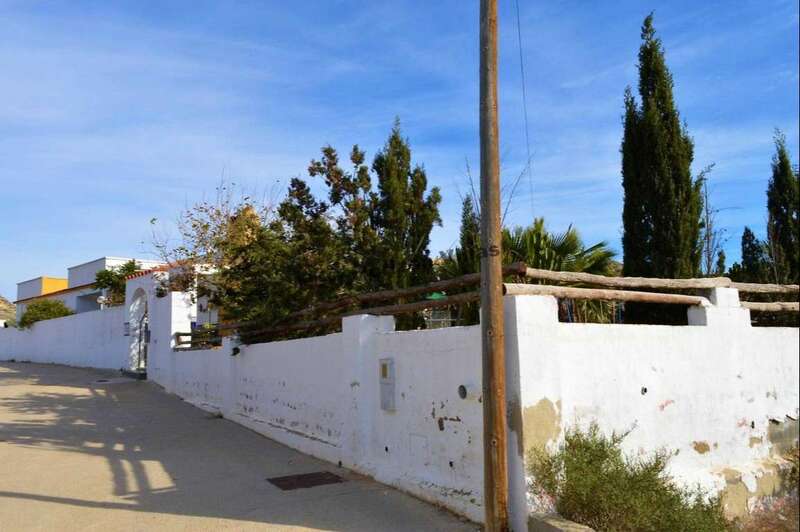 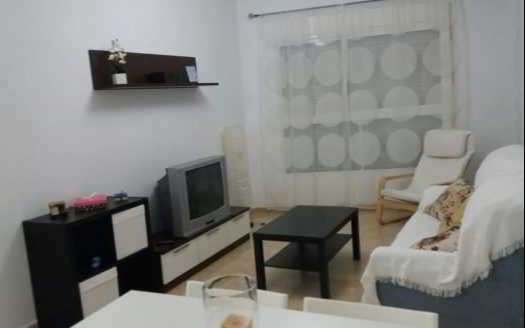 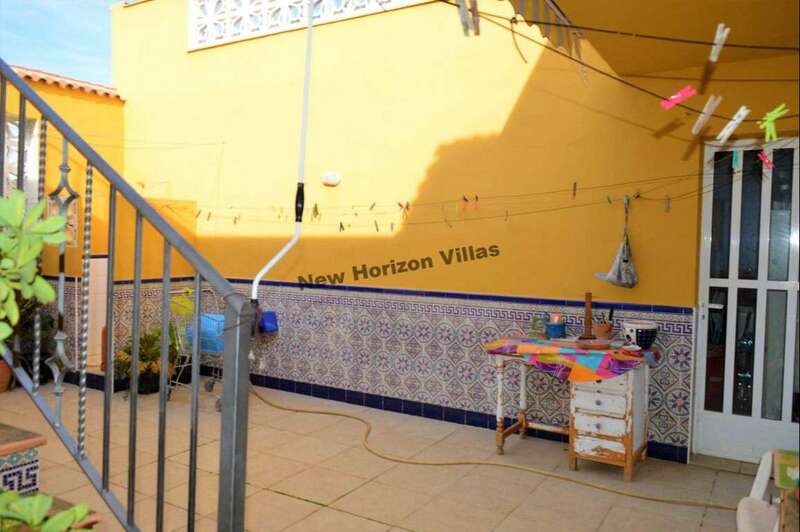 The house is fully fenced, has central heating, has a water tank, has all services such as water and electricity mains, sewer and Internet access. 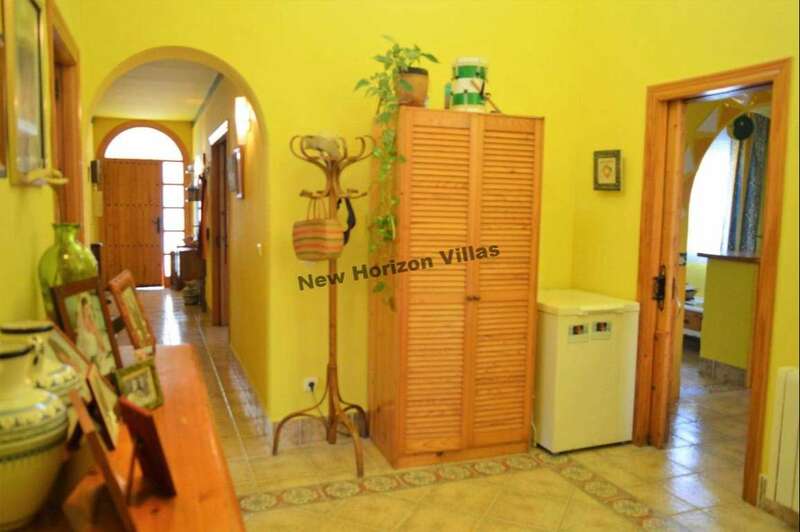 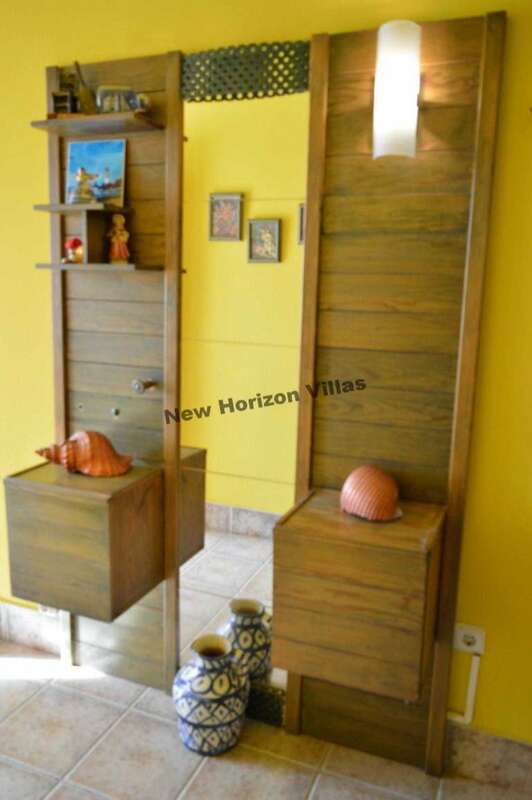 It is sold fully furnished and ready to move into. 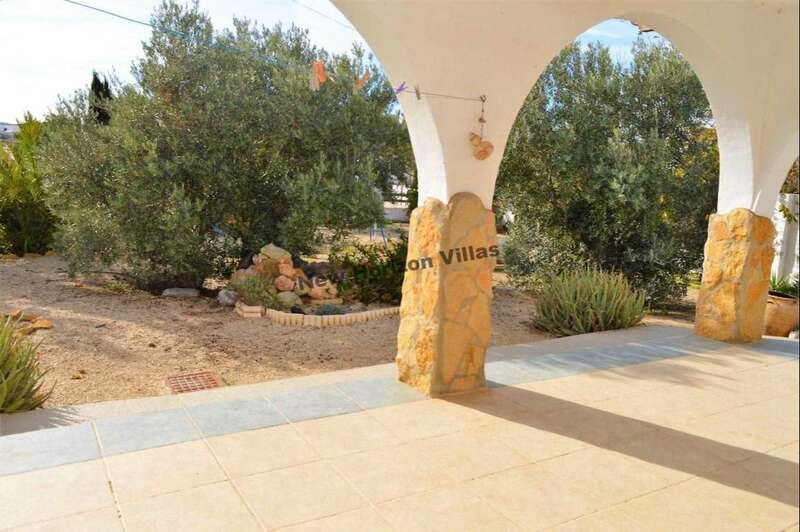 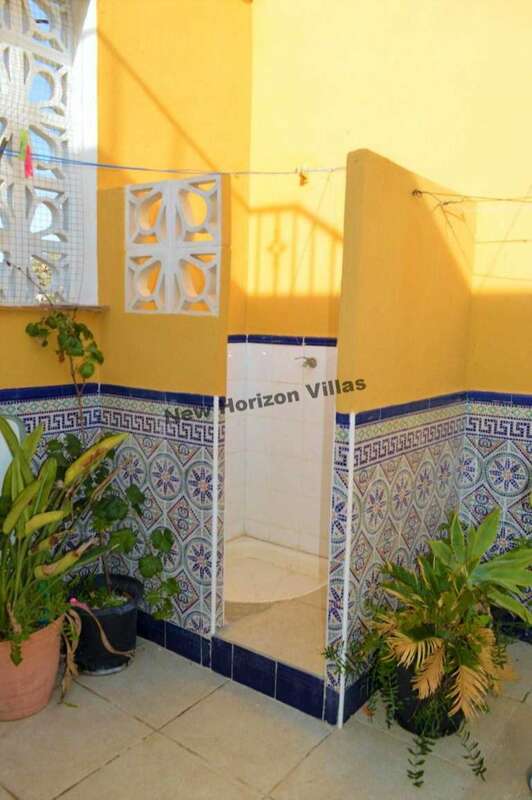 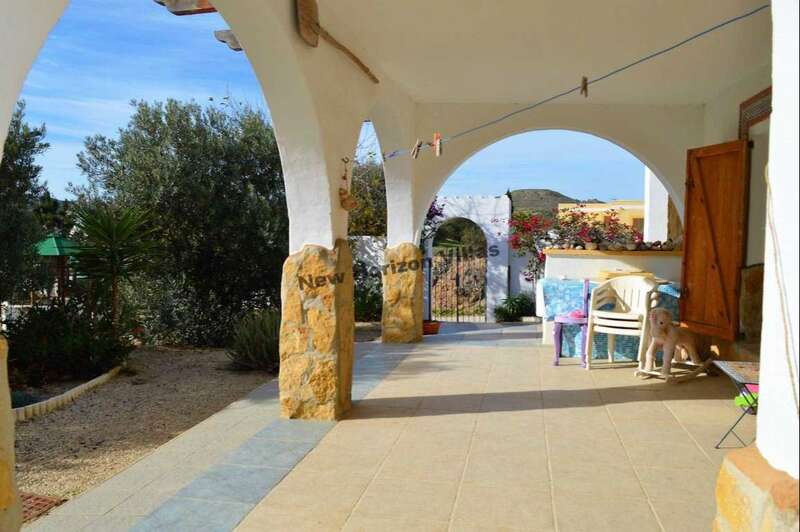 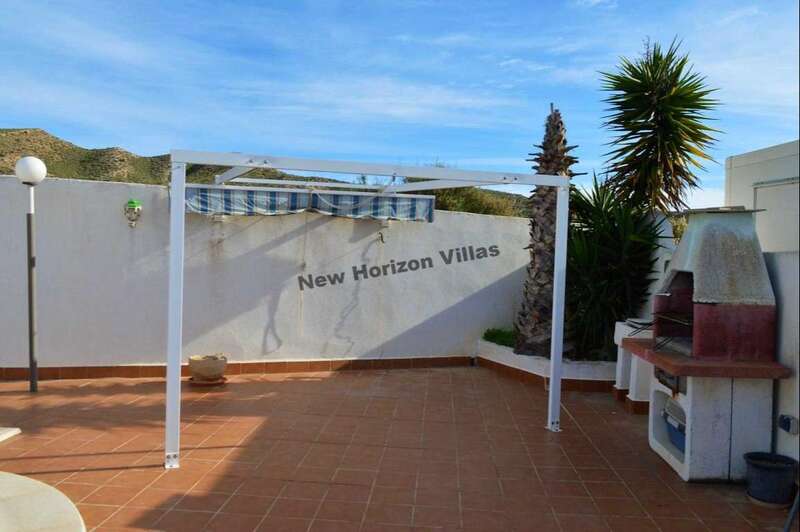 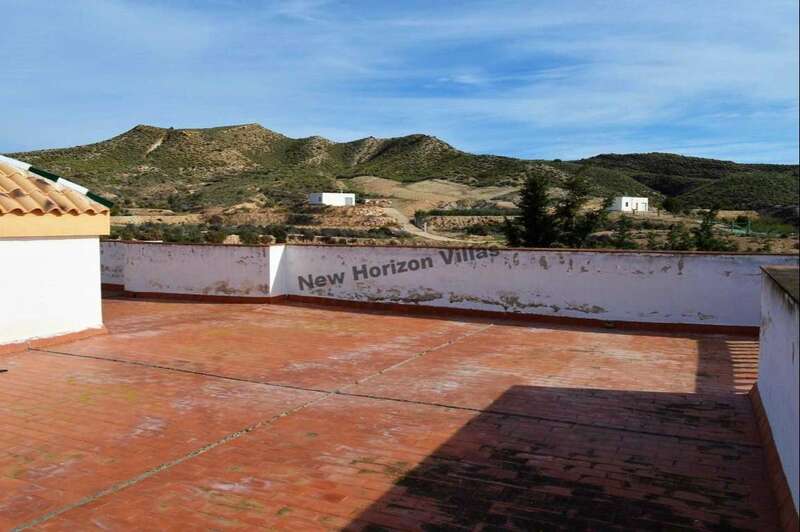 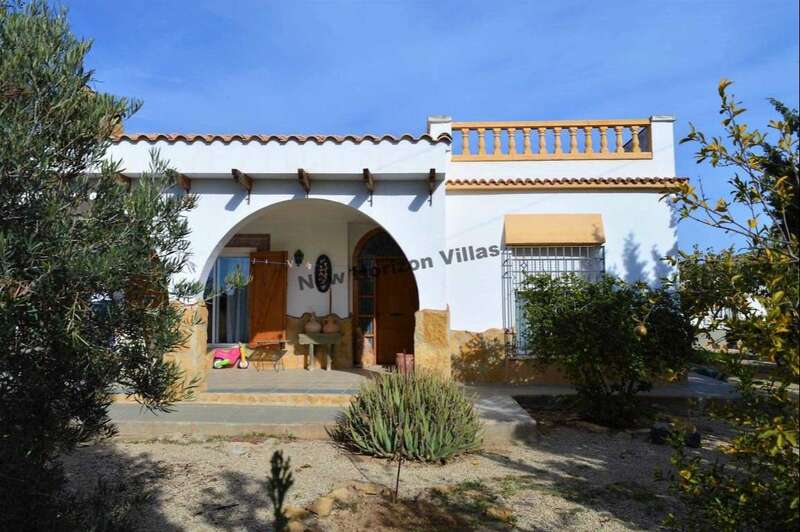 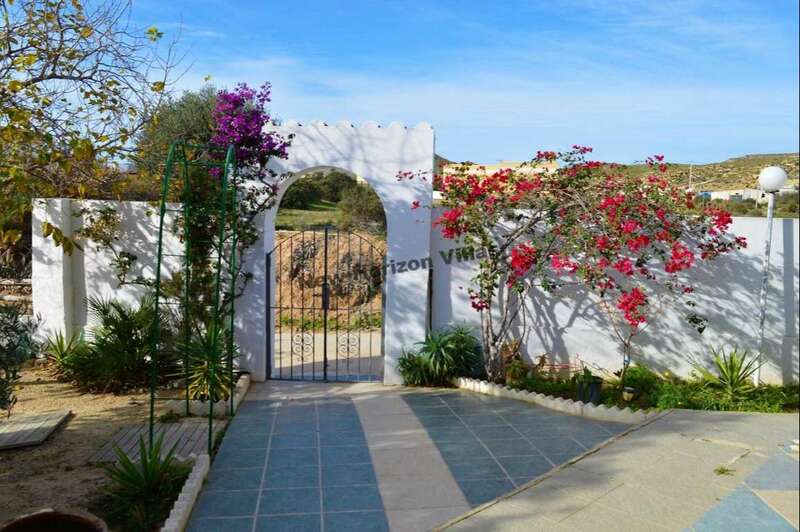 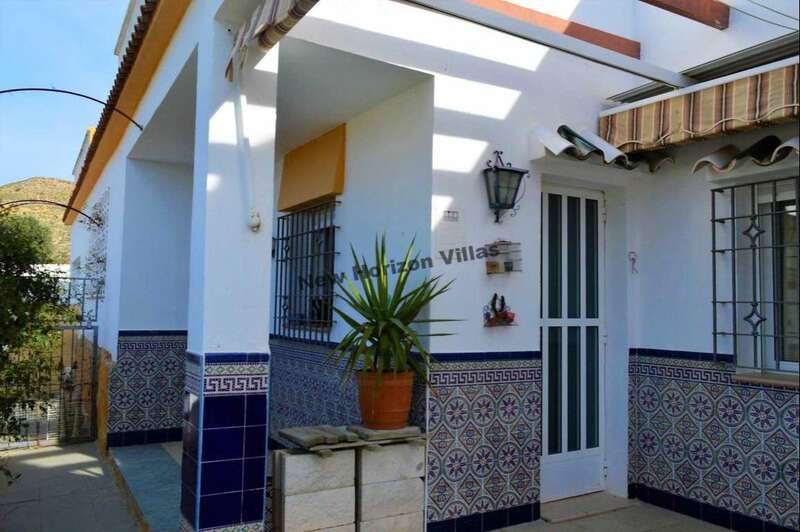 The road to access the house is totally paved, 10 minutes from Carboneras beach, 30 minutes from Almeria airport and 30 minutes from Mojácar. 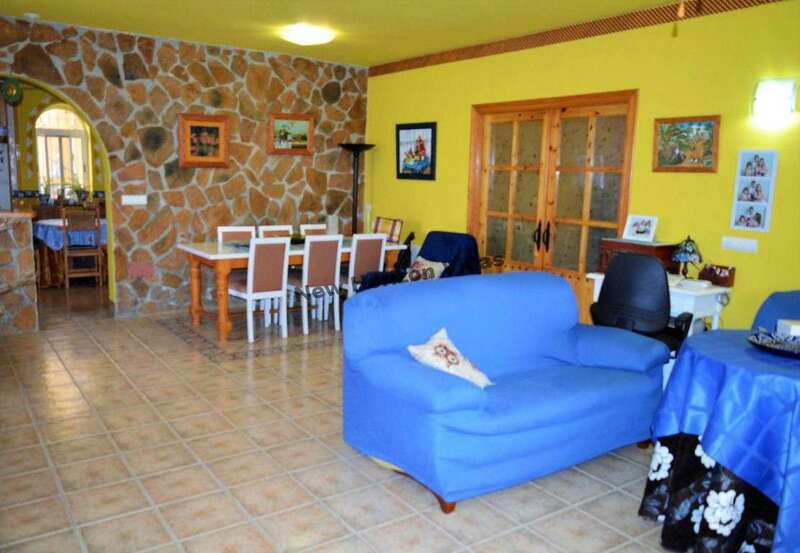 In Carboneras you can find all the services and amenities such as shops, supermarkets, restaurants, veterinarians, etc.